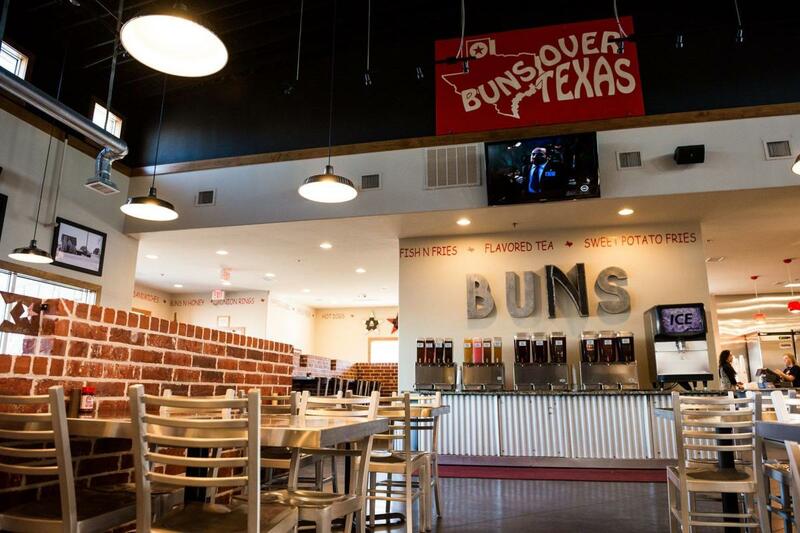 Buns Over Texas first opened it's doors in Amarillo in 1989. 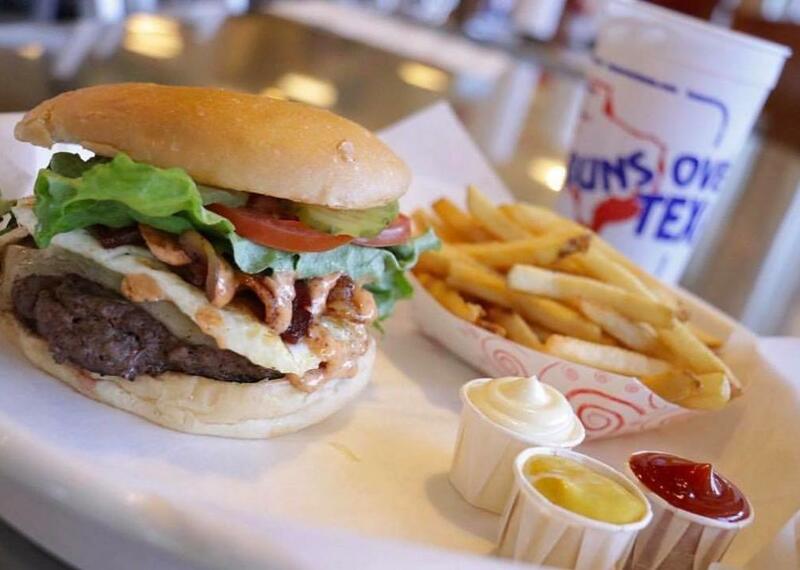 We have been serving great burgers, cheese fries, dogs, chicken, fish and many other menu items for over 22 years. We carry and sell lots of gluten free buns, and offer many menu items aimed at healthy living, such as our new naked burgers. 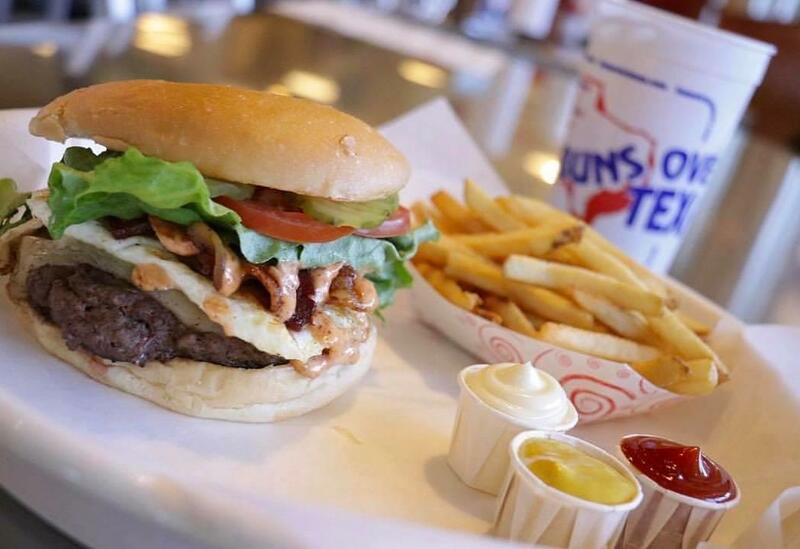 It's a burger wrapped in leaf lettuce, and being totally healthy, along with our veggie fries, which are carrots, asparagus, and fresh green beans. They are flash fried with no breading, and served with our great ranch dressing. 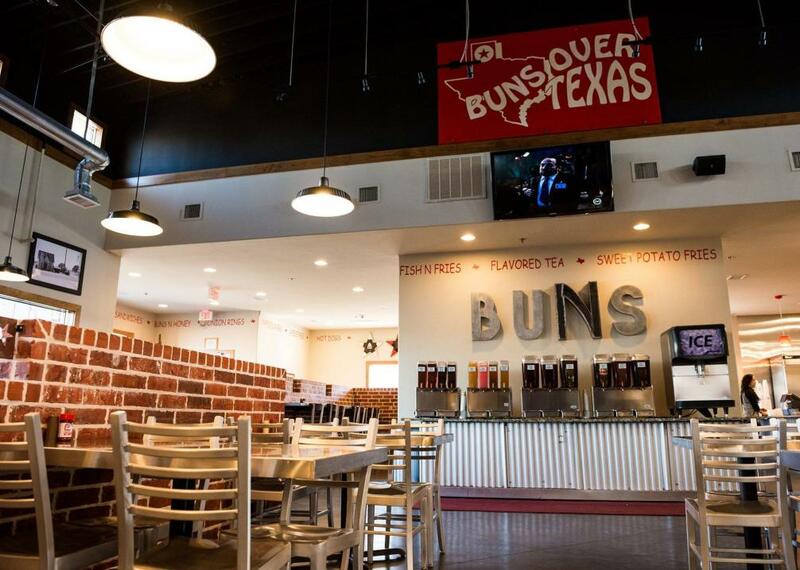 But our newest and most exciting addition to Buns is the addition of our giant tea bar. We offer 18 flavors of tea to our customers. Our tea is brewed with RO water, which makes the difference in our tea. RO water is the best water for health.